Have you ever wondered what it would be like to breathe underwater? If you’d like to try scuba diving but aren’t ready for the full certification course or you’re on a tight schedule and can’t schedule the two days required for it, this is the course for you! Often referred to as the “resort dive” or a “discover scuba dive”, this intro dive gives you the ability to try diving without committing to a full class. You’ll meet at our shop and learn about your gear and safety procedures before going out with your dedicated instructor to the beach. These intro dives are done right from the shore, so if you have friends or little ones that can’t join you, you can bring them along for a beach day at no cost! We also rent snorkeling gear for at little as $2.50 a day if you’d like to have someone snorkel above you as you dive. These dives are limited to 4 divers to 1 instructor so you’ll be sure to have plenty of personal care and attention on what could be your first time breathing underwater! Experience why diving in Maui is rated one of the best in the world. With this introduction to scuba diving you will be supervised by a knowledgeable and friendly instructor while you explore the underwater beauty of Maui. No experience or certification necessary! If you fall in love with diving and want to continue your education this Discover Scuba Dive can count as one of your required dives in your Open Water Course! At least 10 years old, and in reasonable physical health. Discover the amazing underwater world that awaits you off the beautiful west coast of Maui. If you’d like to try scuba diving but don’t have the time for the two day course or just aren’t sure if you’re ready, then discover scuba diving is for you. This introduction to scuba diving doesn’t require any previous experience. 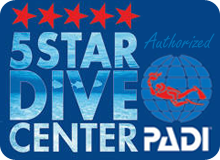 You learn the basic safety guidelines and skills needed to dive under the direct supervision of a PADI Professional.  Maui Diving will provide you with all the scuba equipment you need to complete your Discovery Scuba Dive. There is no extra charge for the use of our rental equipment. We even include mask and fins with your rental equipment at no extra charge. If you decide that you’d like to purchase your own mask and fins after the class, we have a wide variety of options in our retail store. It is great to have your own mask and fins as you’ll want to travel with these items in the future to make sure all of your diving or snorkeling experiences are comfortable and fit you perfectly! For those who wish to experience their first dive from a boat, rather than from the beach, a morning boat trip will take you to the Molokini Crater where you will snorkel while the certified divers are diving. Once the divers are back on board, you’ll then head over to Turtle Town to do your one tank Discover Scuba Diving experience! You will receive your lesson on the boat and then get ready to take the plunge!